Will I be able to be in the same dormitory as my friends? During your stay we will encourage you to do things with people in your class that you might not usually work with. Your school staff will sort out the dormitory spaces and usually they make sure people are with their friends. Will we be able to get lots of sweets from the tuck shop? Hopefully you will be full from dinner! However there will be an opportunity to buy some sweets and souvenirs from the tuck shop. Be warned there will be limit on the amount of sweets you can buy! There are lots of exciting souvenirs and gifts to choose from in the tuck shop too. Will I be able to ring home? It will be up to the staff that is bringing you away as to whether mobile phones are appropriate to bring on the trip. We do not advise that mobile phones are taken out on activity as they can be easily damaged/dropped in water. Will you make me do something I am scared about? Sometimes it is worth trying hard to do something you really don’t feel like doing! We don’t want you to go back and wish that you had done something. We will always be with you to help you overcome fears, but at the end of the day we wouldn’t make you do something if you are really unhappy about it. Will my child be able to ring home whilst they are away? There are no payphone at our centres, mobile phones are discouraged and disallowed during activities. Usually the visiting school staff members are in close contact with the school, or they may set up a blog for the week. Therefore any information about progression of the visit may be gained from those sources. Ultimately it is the schools staff decision as to whether phones should be taken to the centre. If there is ever an issue with your son or daughter such as illness or injury you will be informed in the first possible instance. There are times when it is judged appropriate for remote supervision eg. During an orienteering session when skills are built up in order for students to map read independently. Each situation is judged according to ability of students and the surrounding environment. School staff are responsible for supervision outside of activity sessions. 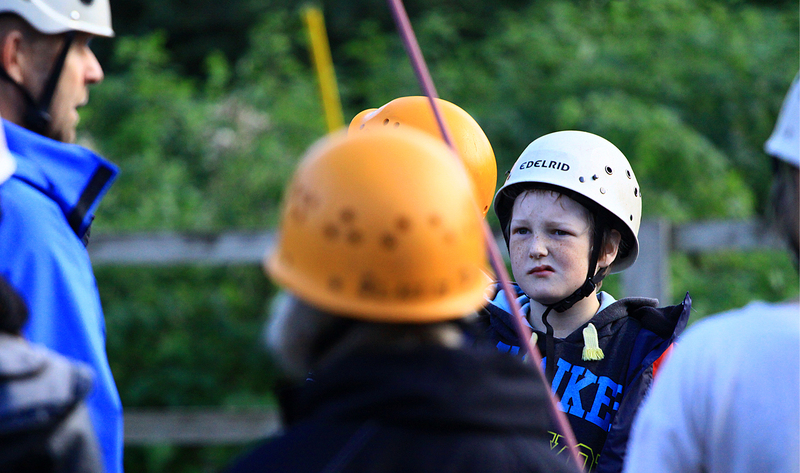 We believe strongly in encouraging young people to become more responsible for themselves. Does my child need any special equipment purchased before the trip? Definitely not! All specialist equipment is provided. The best clothing to pack is old clothes and ability to layer up with jumpers/fleeces/hoodies – stuff that doesn’t matter if it gets wet or muddy! Should my child bring pocket money? In short, yes. Our tuck shop sells a full range of souvenirs and gifts that will allow your child to bring home a memento of their visit or even a gift for you! As well as souvenirs and gifts there is a small range of sweets and drinks, although most school staff limit the purchase of these to sensible amounts. The limit on pocket money is entirely up to you. Each day the programme of activities is looked at and the weather conditions affecting that environment are taken in to account. A collaborative decision between our staff and the school staff is made based on the groups’ ability and environmental conditions. My child only eats certain things … will they be hungry? Do I need to send special dietary items for them? Our kitchen staff are accustomed to special diets eg. Coeliac, Kosher, Halal, diabetic. If you are at all concerned about special dietary needs you are welcome to ring and talk to the kitchen bursar. If your child is unlikely to like many of the food choices we will firstly encourage them to eat as energy levels are important, however if they refuse to eat the choices available we will find something alternative for them to eat.